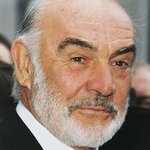 Founded by Sean Connery, Friends of Scotland strives to showcase Scottish cultural, educational, historical and genealogical connections between the United States and Scotland. Every year, a benefit for the organization helps to raise funds for charities such as Wounded Warrior Project, Paralyzed Veterans of America and the Erskine Hospital. Google trends for "Friends of Scotland"
We don't have any videos related to Friends of Scotland.